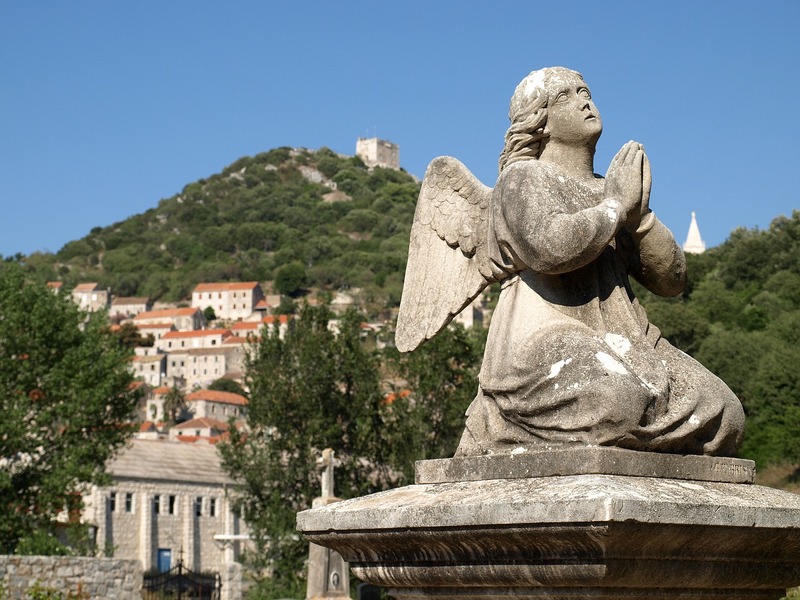 If you are visiting Croatia for the first time, or you are back again to explore other parts of the country, we have put together some places worth visiting. 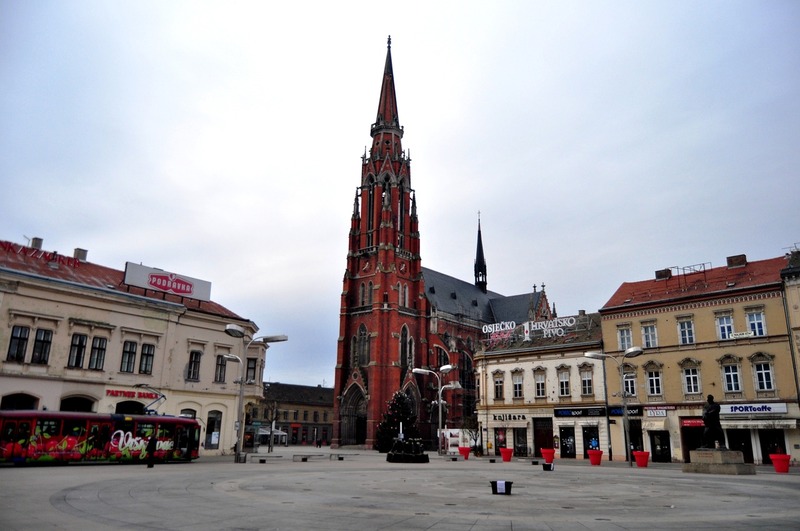 Landing in the capital Zagreb in the north, the list takes you first up north before heading east into Slavonia. After checking that out we head across to Istria before heading down the coast and checking out some of the islands. These are just 30 must-sees in this beautiful country. 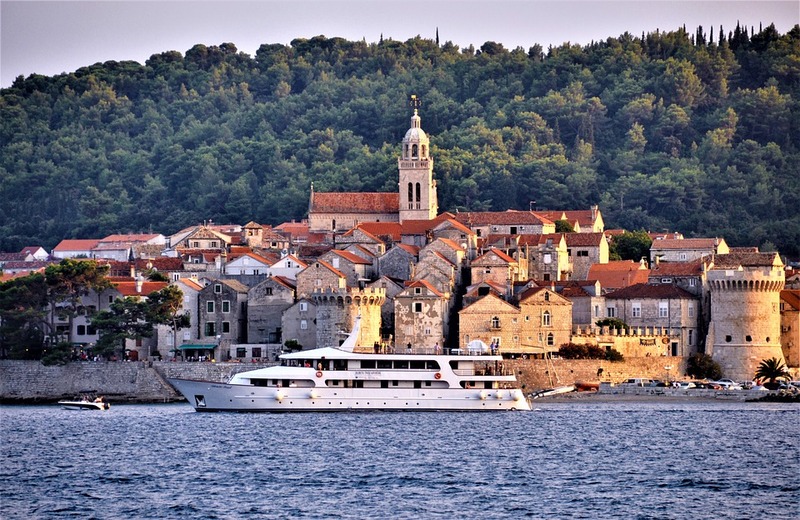 Croatia’s capital and largest city is located in the northwest of the country, along the Sava river. Zagreb is rich in history and there is lots to see in the Upper and Lower parts of the city, including Zagreb Cathedral. 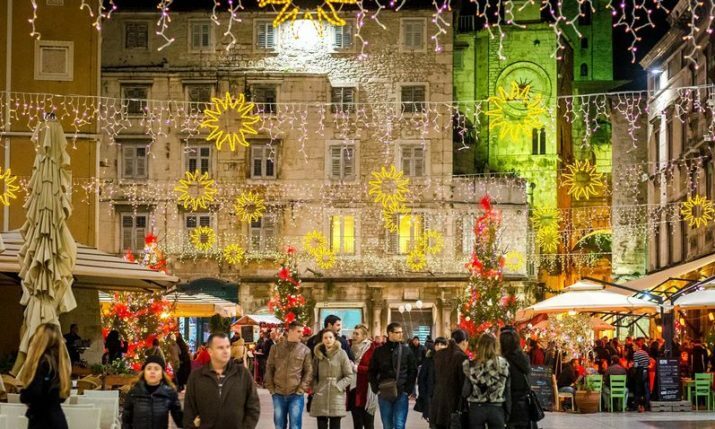 Zagreb has become popular over the last few years, especially at Christmas time thanks to Advent in Zagreb. Small green hills surrounded by streams and rivers, forests and vineyards are home to numerous little old wooden houses and magnificent castles. 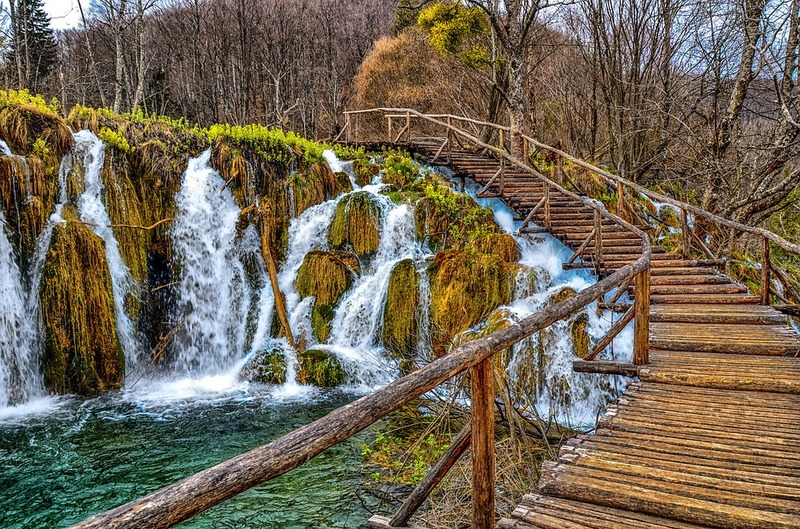 This magical region is settled in the northern part of Croatia, only a half an hour drive from the capital, Zagreb. Some things worth checking out here. Čakovec, once the site of Aquama (wet town) in Roman times and a Legionnaire camp, today is the seat and the largest city of Međimurje County. 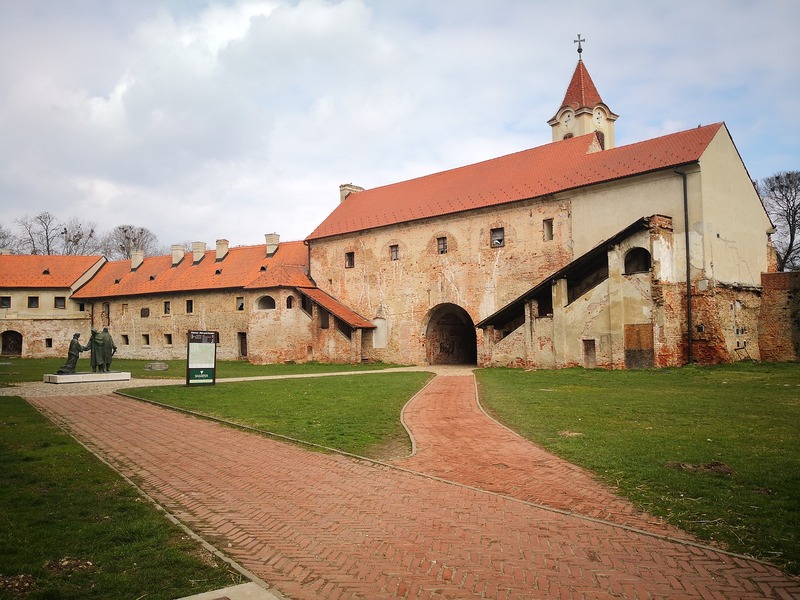 A famous castle, the old city of Zrinski family, surrounded by beautiful gardens, Zrinski Guard, a historical military unit and the Church of Saint Nicholas are only some of the sights this city has to show. The biggest cultural-tourist manifesto in Čakovec is Porcijunkulovo held in the summer. 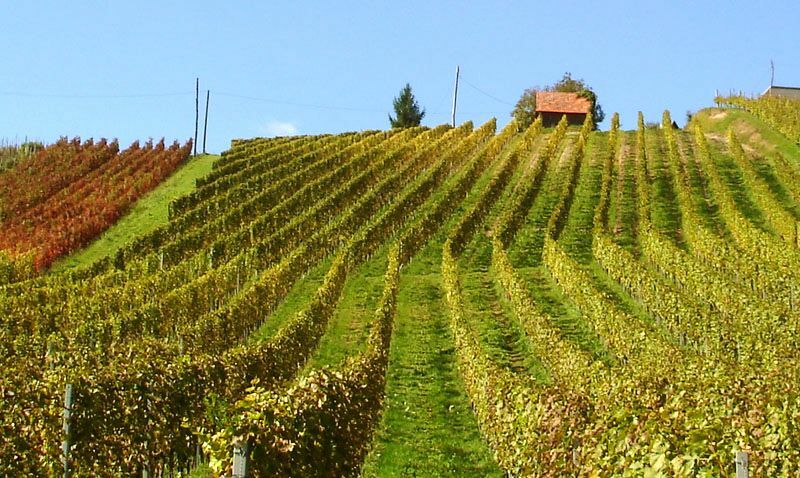 Đakovo is the centre of the fertile and rich Đakovo region in Slavonia. The Cathedral Basilica of St. Peter is the town’s most famous landmark. Make sure to check out the pure-bred white Lipizzaner horses and rich Slavonian cuisine. 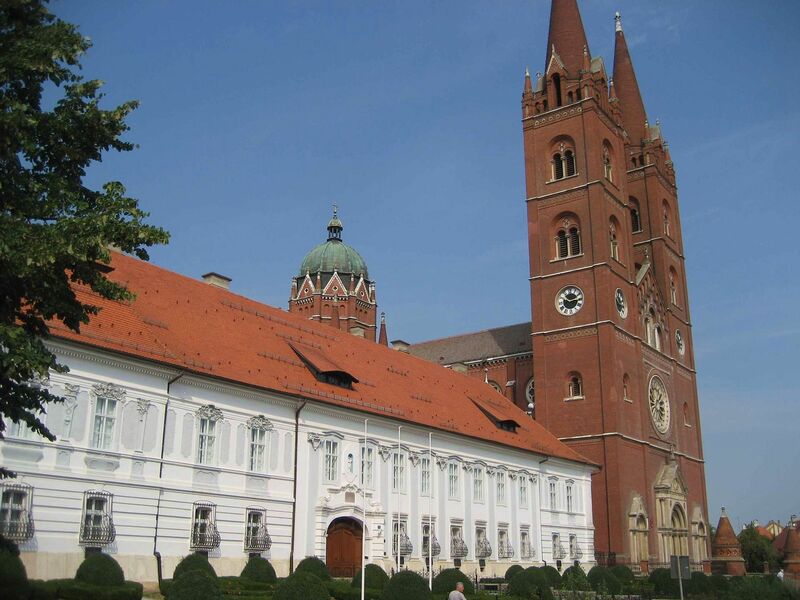 Further out east is Osijek and definitely worth checking out. The baroque architecture, the 18th-century citadel and the zoological garden will keep you busy for at least a day, but if you’re interested in exploring the surroundings make sure to check out Kopački Rit – a nature park which is one of the most attractive preserved wetlands in Europe. 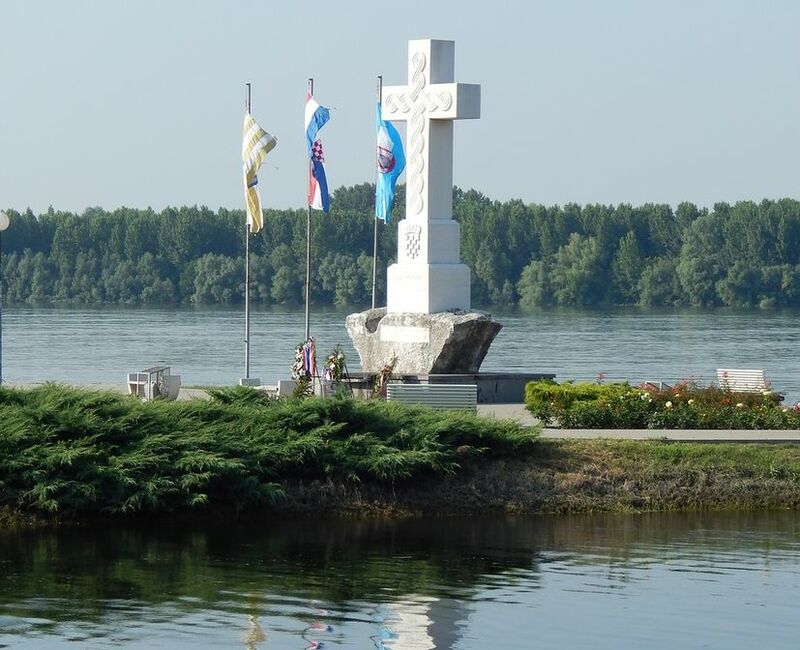 The city suffered a lot of damage during the Homeland War in the 1990s but has seen a massive spike in tourism over the past two years thanks to the cruise on the Danube from Vukovar and cultural events. The Vukovar Water Tower is the symbol of the city. Rijeka is definitely a must-see. 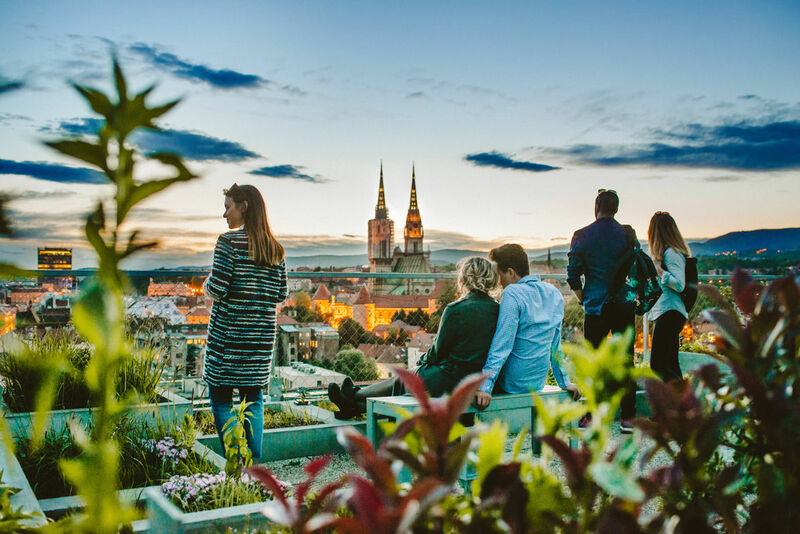 The Roman, Gothic, Renaissance and Baroque architecture will leave you breathless as well as the rich nightlife, especially during the summer. 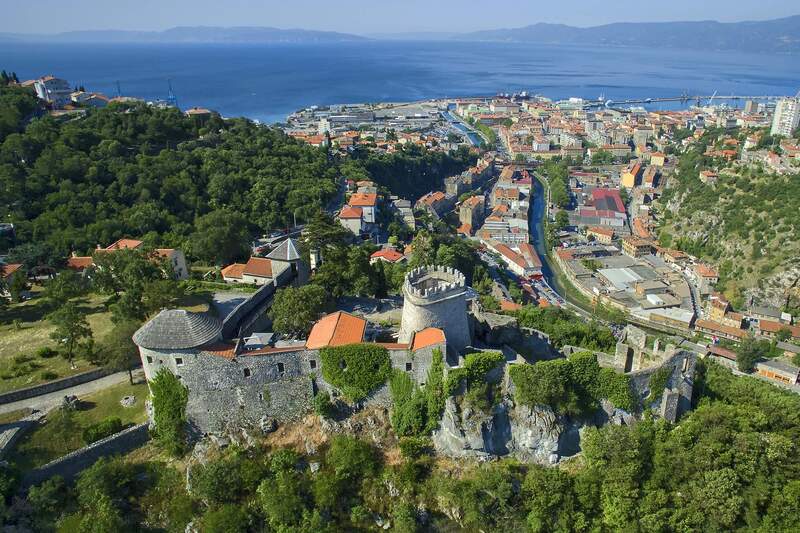 Rijeka is also home to Trsat Castle. Some things to check out in Rijeka here. Opatija is located on the Adriatic coast and was a fashionable resort in the 19th century. , Dotted with Habsburg-era villas, Opatija is gorgeous. Go for a stroll along the Lungomare on a balmy evening or dine at one of many fantastic restaurants. Opatija is also known for the Maiden with the seagull statue. 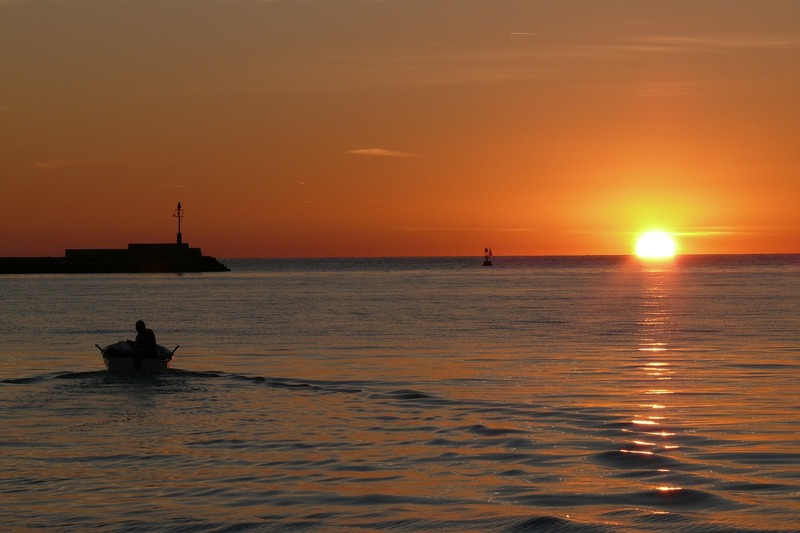 Located on the western Istrian coast are the towns of Umag and Novigrad. Novigrad is set on a small peninsula and its beauty and cultural heritage, together with the turquoise blue sea, make it a great spot. Museums, food, music festivals (Umag) and sport, are just some of the things these part of the country has to offer. When in Istria, Rovinj is a place you shouldn’t miss. This enchanting little town will make you fall in love with its narrow streets, romantic balconies, colorful houses, little shops and cafes. Once you’re done falling in love – hit one of the beautiful beaches. 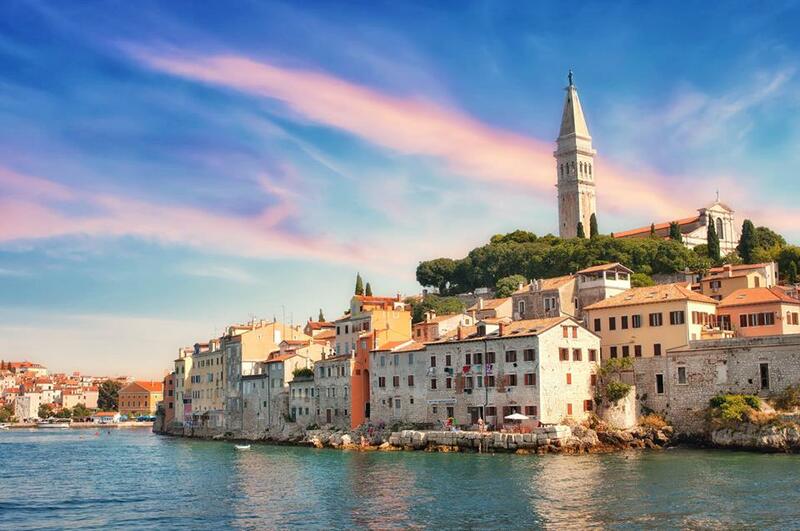 Rovinj is one of the most popular destinations in Croatia and it is no surprise. The small, medieval hilltop town of Motovun is situated 270 m above sea level with houses scattered all over the hill. Really charming. Try to be there for the Motovun Film festival (late July – early August). 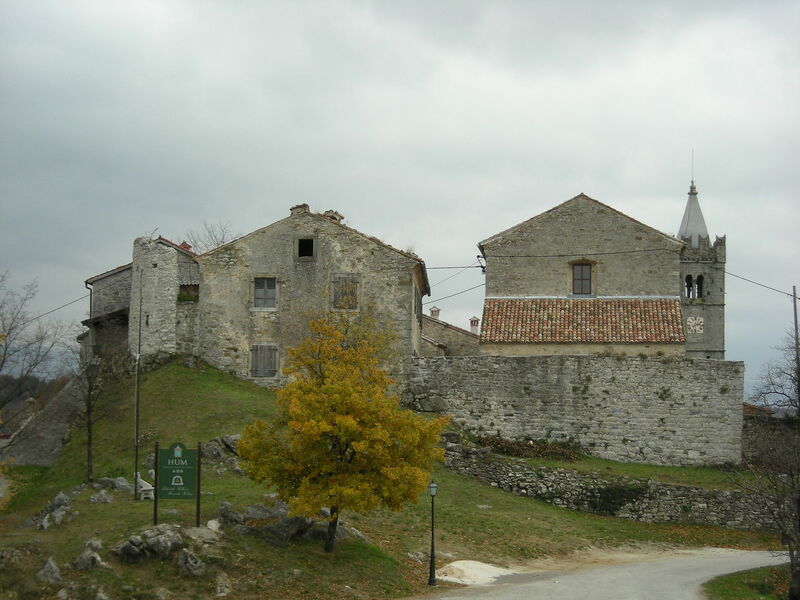 Hum, located in Istria, has a population of only around 20 people and is listed as the smallest town in the world by Guinness World Records. It also happens to be one of Istria’s most picturesque places. Heading further south stop off in Pula, home to the amazing Roman amphitheatre. Some tips what to check out in Pula here. Heaven on earth, the Brijuni islands, 14 of them, are famous for their beauty and being of Croatia’s most beautiful National Parks. You can take a tour by train or bike around the island, see not only the breathtaking scenery, but also the remains of the temple of Venus and Roman Villa Rustica. Situated inland in the Central Croatian town of Slunj is the stunning little village of Rastoke. 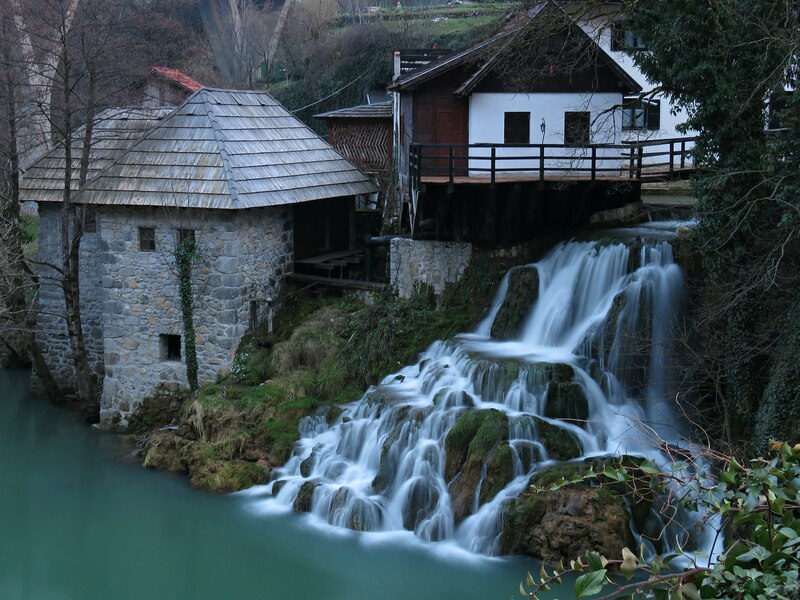 Rastoke is known for its well-preserved mills and the picturesque little waterfalls and flowing cascades along the Slunjčica river, which flows into the river Korana at this place. 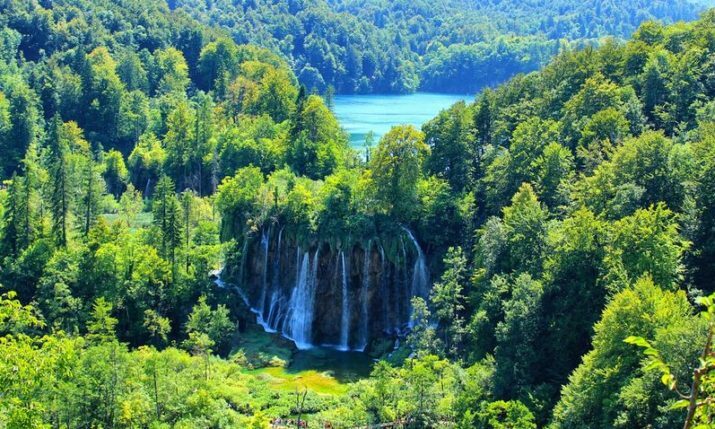 Only 33 km separates Plitvice Lakes National Park and Rastoke. One of the oldest national parks in Southeast Europe, the largest national park in Croatia, and one of the most magical places on Earth. We hit now the Dalmatian coast. 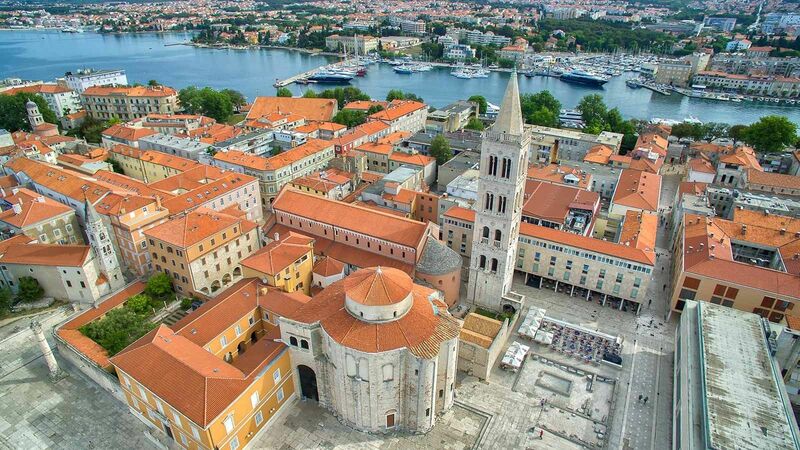 Zadar is a must-see. Make sure to check out the Greetings to the Sun – a wide circle installation, set into the pavement and filled with multi-layered glass plates that collect the sun’s energy during the day. Together with the Sea Organ that produces sounds through the movement of the sea, it creates an amazing light show. 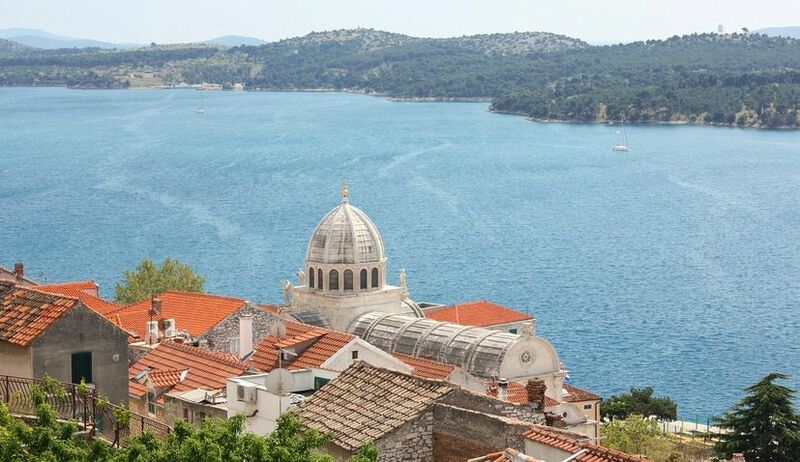 Šibenik, located on Croatia’s central Dalmatian coast, is a gorgeous city with a rich history and full of interesting sites. The Old Town is a magnificent gem with monuments dating back to the 11th century. Here are some things to check out here. From Šibenik it is a short trip to Krka National Park. 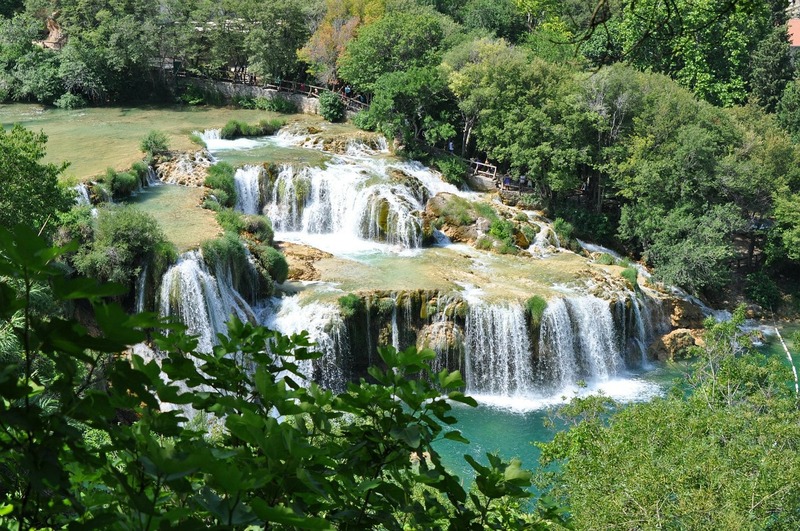 The Krka River is known for its numerous waterfalls, including the famous Skradinski buk waterfall. With magical waterfalls and gorges, and with the river gushing through a karstic canyon 200 metres deep, the Krka river is truly one of Croatia’s pearls. 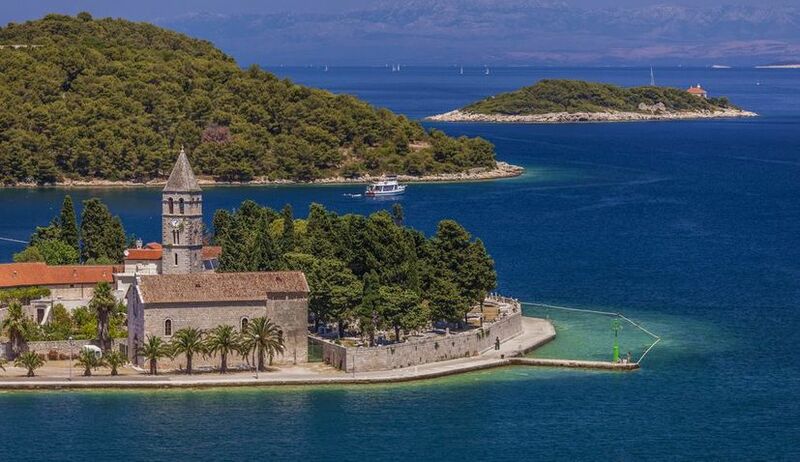 The historic centre of Trogir has been included in the UNESCO list of World Heritage Sites. Spend at least a day in this charming place is definitely worth it. Trogir hides a great number of beautiful palaces and monuments to visit and here are only some of the magnificent sights. 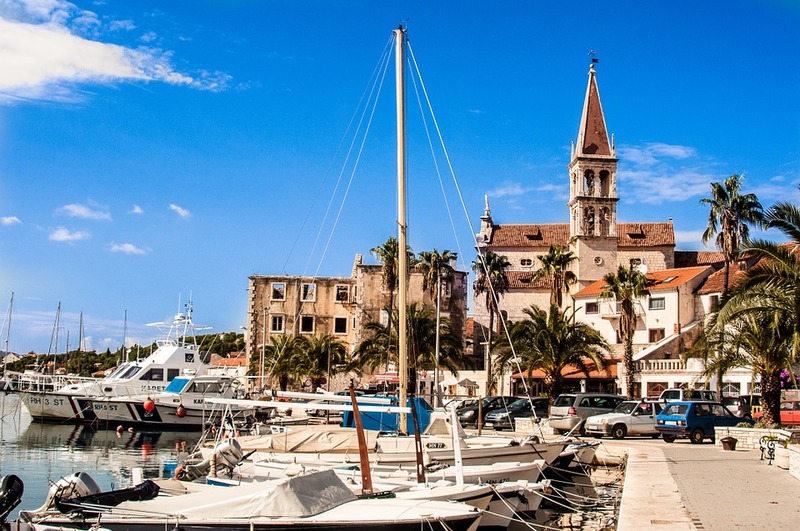 10 things to check out in Trogir here. 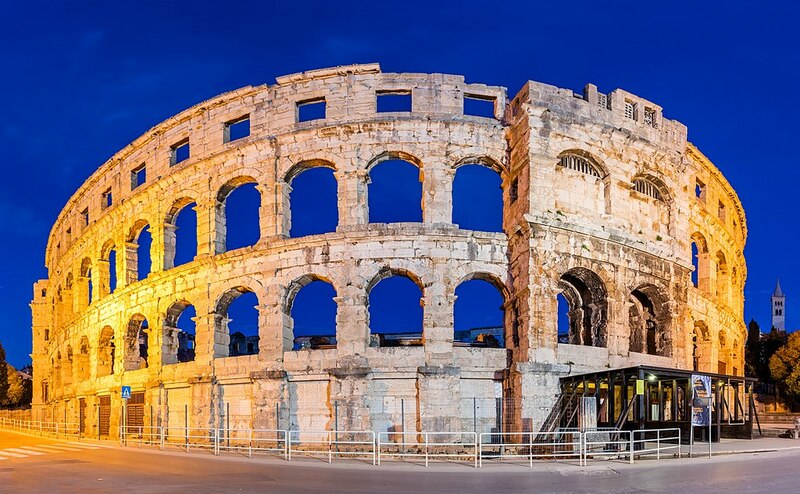 Split is the second largest city in Croatia and is best known for Diocletian’s Palace, built by the Roman emperor in the 4th century, which is located in the heart of the city. Within its white stone walls are shops, bars, cathedrals, hotels and houses. 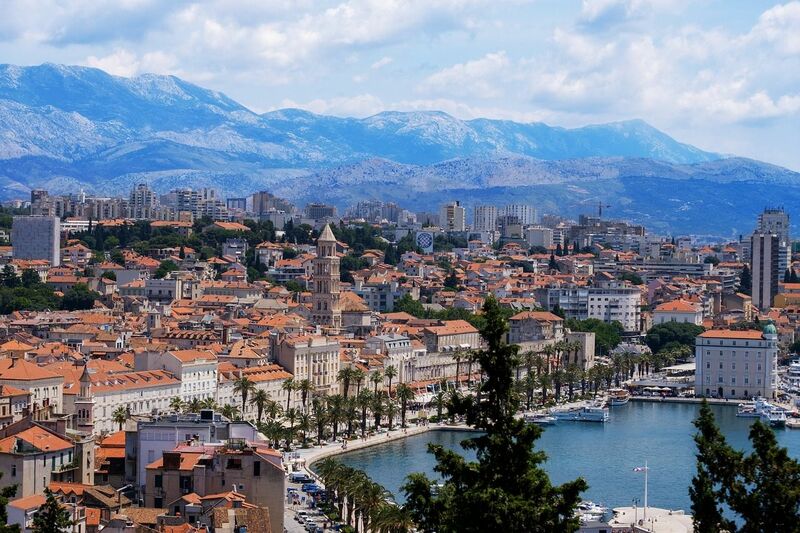 Beaches, cafes on the famous waterfront, Marjan hill..Split is a definitely a must-visit. Brač is the largest island in Dalmatia and is full of spectacular nature, beaches and historical monuments which will mean a short there trip will not be long enough. Some ideas what to check out on the island here. This island is a must. Explore its towns and villages, hidden corners, amazing beaches, thousands of years of history, local tasty food and delicious wine. Back in 2006, the Lastovo Islands were declared as a nature park. The spectacular Lastovo Islands with their 195,83 km2 covering archipelago was the eleventh declared nature park in Croatia. The Nature Park contains all 44 islands, islets and sea rocks in the Lastovo archipelago. This area is one of the most preserved marine areas today in the Adriatic. The island of Vis, arguably one of the most beautiful islands in the world, is located off Croatia’s southern Adriatic coast. Unspoilt nature, breathtaking beaches, amazing underwater world, rich history and delicious local cuisine could easily convince anyone this really is paradise. Mamma Mia 2 was filmed on the island last year. Some things to check out on Vis here. Ston is a village in the Dubrovnik-Neretva County of Croatia, located at the south of isthmus of the Pelješac peninsula. 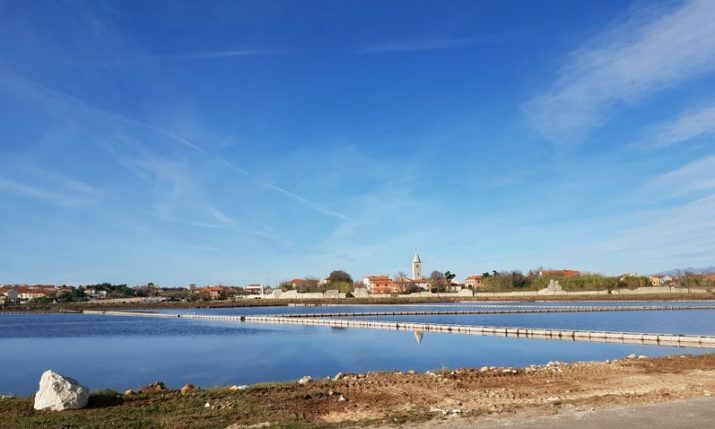 The area is renowned for a number of attractions, including the famous Ston Walls, which are the second longest preserved fortification system in the world, the Ston salt pans, which are the oldest in Europe, and delicious oysters and wine. One of the places in Croatia not yet fully discovered by the tourists is the beautiful valley just 100 kilometers north-west of Dubrovnik. 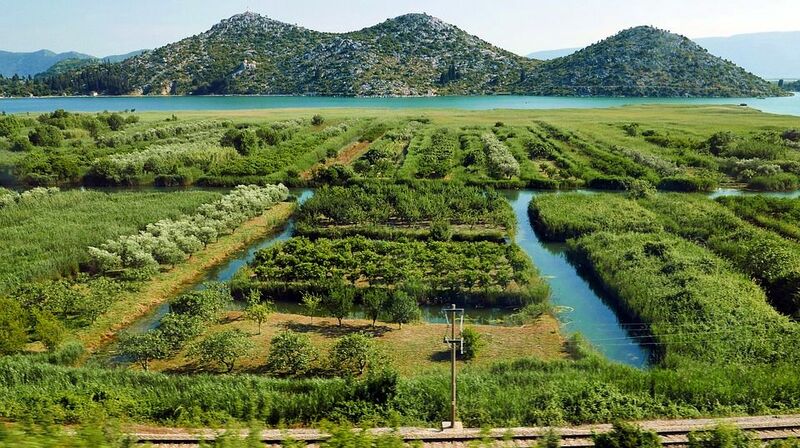 Geographically different from the rest of the Croatian coastline and the detritus landscape, the fertile land around the river Neretva, the largest in the eastern part of the Adriatic, is perfect for agriculture, different flora and fauna and is full of evidence of a rich history and interesting pirate stories. Here are just some things to check out there. 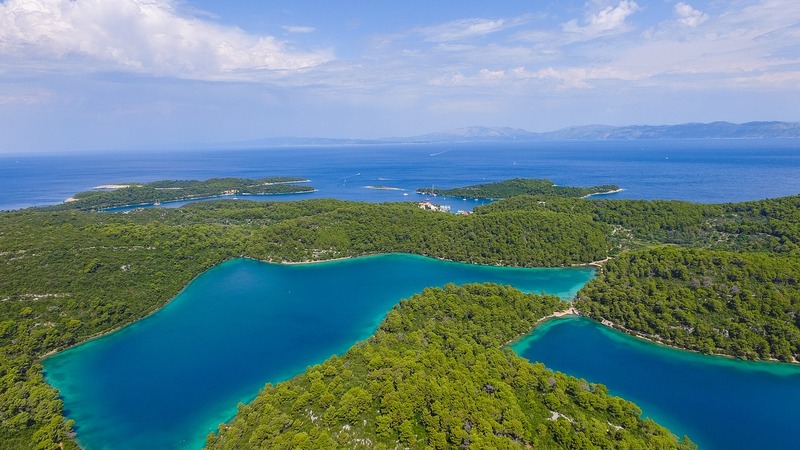 Mljet is home to one of Croatia’s National Park’s. The Mljet National Park includes the western part of the island, Veliko jezero, Malo jezero, Soline Bay and a sea belt 500 m wide from the most prominent cape of Mljet covering an area of 54 km. 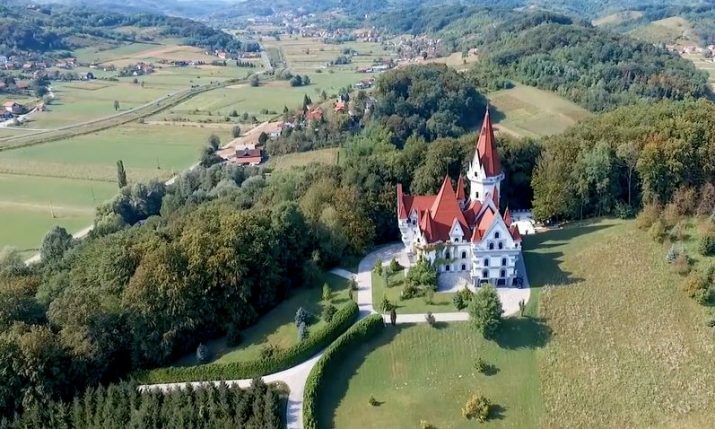 There is a Benedictine monastery on an isle in the middle of Veliko Jezero too. A great place for a day trip. 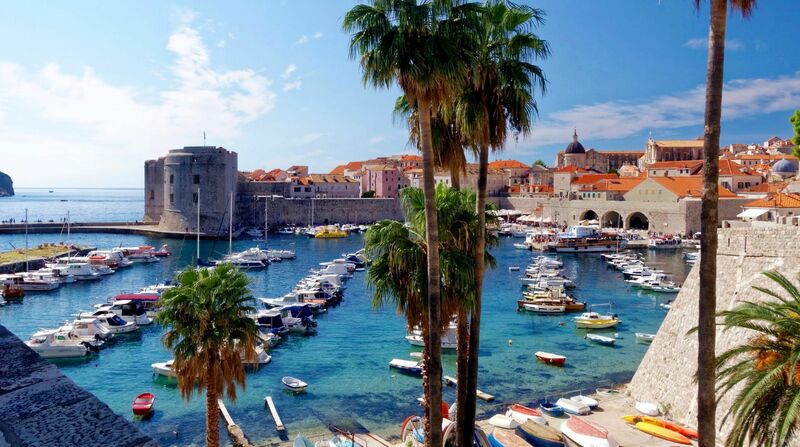 Dubrovnik’s impressive Old Town, surrounded by massive stone walls from the 16th century, has made it the country’s most recognisable destinations. Take a tour of the city walls, a walk on Stradun or check out Game of Thrones locations. There is so much to see but be warned it can be crowded in peak summer.